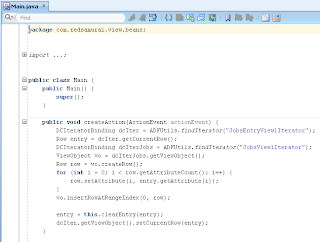 Guess what ADF topic remains most popular over the years - CRUD. 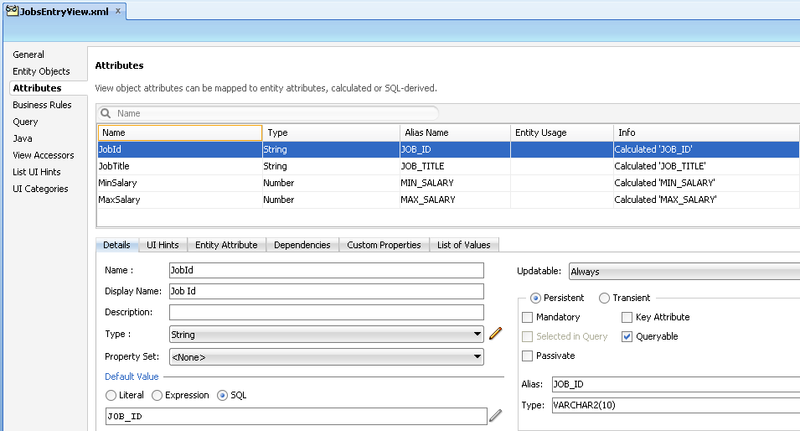 I have several blogs on this topic, for example - CRUD Operations in Oracle ADF 11g Table Without Auto PPR. 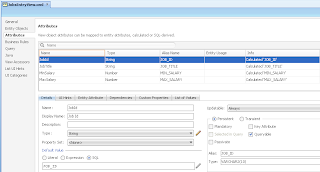 Today I will describe one more scenario - how to maintain empty row, which can be used to insert new records into table. 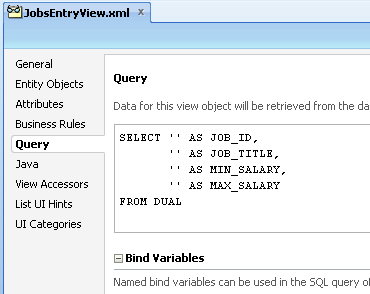 I have been having unfamiliar error of JBO-25003: Object root of type View Object is not found as a pop up. 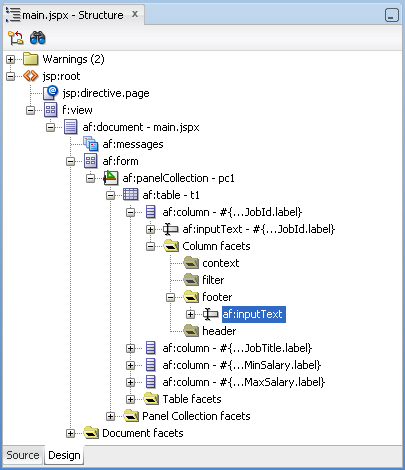 when that pop shows up the table selection listener and filters on tables fails to work. My application does not use Oracle BC in any place. 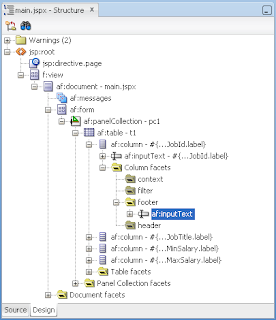 The application use POJO to create table bindings. The funny part of that error is that it occurs after sometime when more people are accessing it. 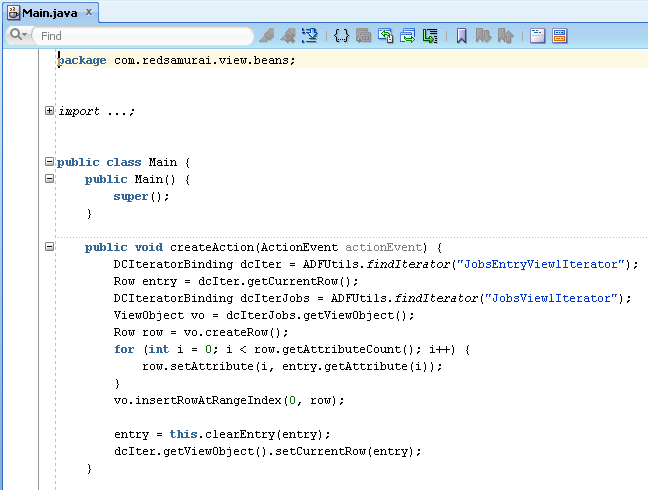 : Object root of type View Object is not found. 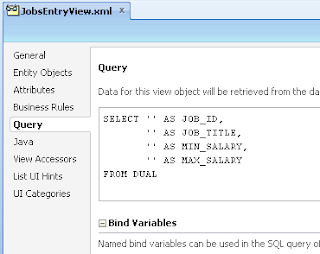 oracle.jbo.NoObjException: JBO-25003: Object root of type View Object is not found. I have a master form and detail table. I am using strong association and works fine. But I want to show more than one blank rows in detail table based on a value in one of the field in master form. 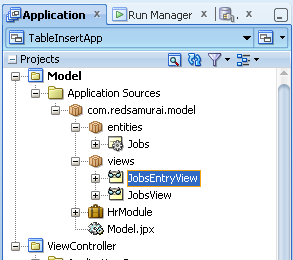 I am getting client validation error when calling second creatinsert on detail table. Pls advice.